Note: The pleats inside the FiltersFast FF4M11 have changed from white to blue. Price listed is for three 4-inch filters. FiltersFast air filters are an economical alternative if you're looking for a quality air filter without paying a premium price! 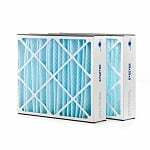 This three pack of 4 inch air filters comes in a variety of sizes and are a cost effective upgrade from simple fiberglass or poly pleated filters. 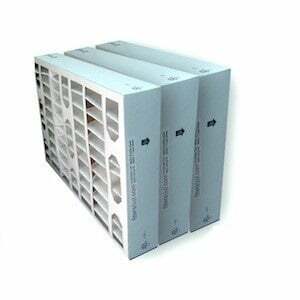 These 4 inch furnace filters effectively reduce pollen, dust, pet dander, mold spores, dust mites and other allergens from your indoor air. Removing these airborne particles can help improve allergies and alleviate sinus irritation that can cause watery eyes, itchy throat, coughing, and sneezing. 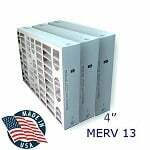 Aside from the health benefits, having these FiltersFast MERV 11 furnace filters in your home will also extend the life of your heating and cooling system by making it work more efficiently. 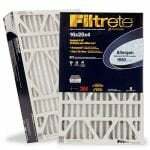 Prices listed are for a 3-pack of filters.